One of the most remarkable and brilliant novels from Africa that I ever read. 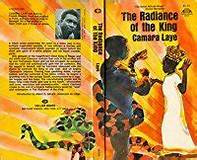 And this one was published very early many decades ago which illustrates what a great writer Camara Laye was…and from Guinea too. This book is a must for anybody interested in African writing. This is world class writing, incorporating the best from Africa, from Europe and cascading into intellectual apogee. This wonderful story of a white man in Africa, bewildered, bemused, brought down, even exploited, until attaining illumination of sorts at the end…should elicit grand applause and “clapping” all around.